Viking was beautifully restored by Ballentine's Boat Shop and is exquisitely maintained there. 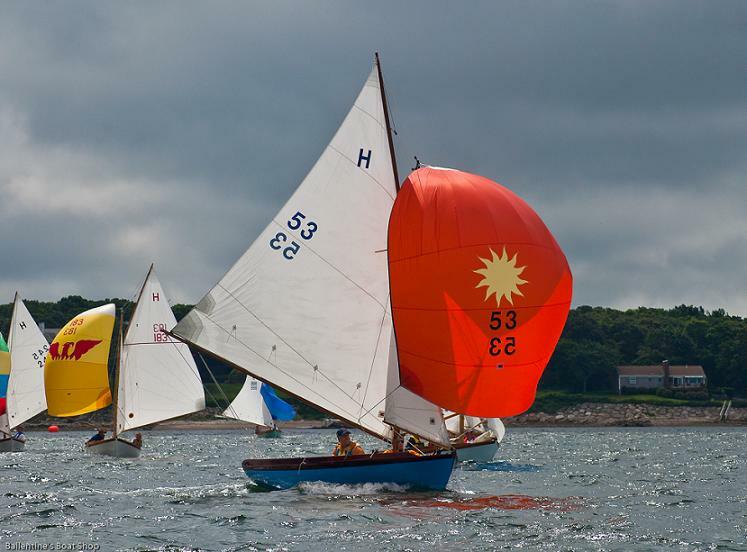 She is energetically raced and has won the last two Junior H Class Championships. She spends most of the summer taking us on picinics and sails out into Buzzards Bay. She has survived the learning experiences of numerous children plus many unplanned encounters with sandbars, docks and anchor flukes. Despite that, she is still a head-turner wherever she sails.